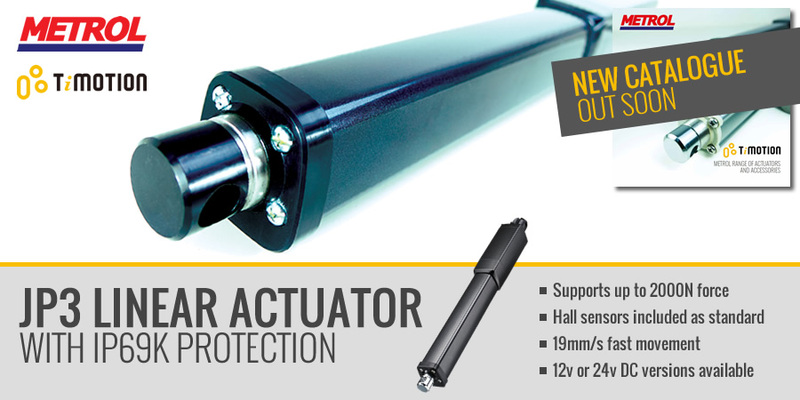 The JP3 series inline linear actuator is specifically designed for low load industrial applications. It has the capability to protect up to IP69K dust and liquid ingress. The compactness of the JP3 makes it an ideal choice where visual or compact installation is required. Hall sensors are standard for the JP3 actuator which allow for unit synchronisation and position feedback.